A phylogenetic summary of the number of published animal genomes, in relation to the numbers of described species and species with molecular data. These numbers are shown on a log scale. Are we missing a published genome? Do you have better estimates on numbers of species for any of these clades? Please let us know via the issue tracker. 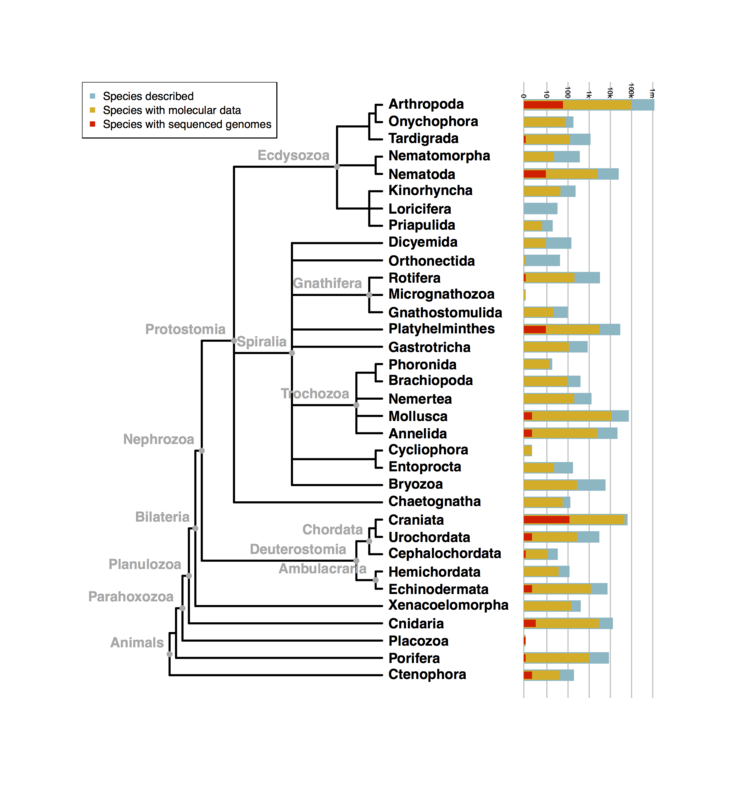 Figure1.pdf An animal phylogeny with the number of described species, number of species with molecular sequence data, and number of published genomes mapped to the tips. Figure1.png A preview manually rendered from Figure1.pdf. draw_tree.r The source code for rendering the figure. update_ncbi_records.r Script for retrieving the umber of animal species with molecular sequence data. sampling.csv The data that are mapped onto the tree tips. The data in sampling.csv come from several sources. The estimated numbers of species are drawn mostly from Appeltans et al. 2012. Where ranges were given, the average was used. The arthropod number is from Hamilton et al. 2010. The numbers of described species are drawn from Giga Community of Scientists 2014. The number of species with molecular data is compiled from NCBI with the script update_ncbi_records.r. The numbers of published genomes are from http://wikipedia.org/wiki/List_of_sequenced_animal_genomes, which we updated.